If you add a ukelele and slow the song down a bit, it totally could be a song from Title, Trainor’s upcoming album. I’m not suggesting that Fifth Harmony and Meghan Trainor sound the same, but I do think Trainor has been able to keep her songwriting style consistent, which I think may be a hard thing to do. Personally, I like when singer-songwriters write songs for other artists, and you still feel as though the song is being performed by the writer. For example, I remember the first time I heard “Cannonball” by Lea Michele I was struck by the boldness and thought “huh, it sounds like Sia wrote that song.” Sure enough, a quick Google search revealed that Sia Furler was in fact one of the writers of the song. Is it Weird I Like This Song? A while ago, I saw this clip of Hayden Panettiere on Ellen where they played this game of trying to guess if a title was a real song or not. What’s more, I rather enjoy this song. I think it’s quite pleasant to listen to; it tells a great story. I mean, it’s a sad story of Billy breaking up with the narrator and breaking her heart, but it’s exquisitely told, there is a lot excellent detail provided. Plus the effect they have on her voice in the beginning is kind of interesting. Whether the song makes you smirk or smile because of the title, or whether you relate to it and it helps you get over a break up, I think it’s worth listening to. Although, I’m having a hella of a time trying to find it on iTunes…Apparently she has another hit entitled “Bimbo,”…I am not making that up. Finals are finally here, which is great because it means the semester is almost over, but also means you have massive amounts of work and studying to do. Yay. I really don’t think I would be able to get through this stressful time if it wasn’t for “All About That Bass” and “Lips Are Movin” by my homegirl Meghan Trainor. For some reason, these songs are keeping me fueled and focused. Like, last night, I had to write a ten page paper that was due, um, today and I couldn’t focus. Then I put “All About That Bass” on repeat and the paper was done in like an hour. And it actually turned out pretty well. Needlesstosay, “All About That Bass” and “Lips Are Movin” have become my jam for finals and are #PhillipsSongsOfTheDay. I really admire MTrain’s music style, especially how she incorporates the doo-wops, bass, and tuba. There’s something just special about how she sings “I’m all about that bass” at the end of the choruses of “All About That Bass” that’s got my head shaking and my fingers typing away all those papers I need to complete before I am free to enjoy the holidays. I also personally think the way she sings “I gave you bass, you gave me sweet talk” in “Lips Are Movin” is life changing and incredible. Her sass and attitude is sublime, engaging, and freakin’ awesome. I must admit I feel a weird kinship to her because she’s from the place on Cape Cod in Massachusetts that I spent my summers as a kid. And also she has favorited two of my tweets (@phillipjspencer), which basically means we’re now best friends. Since it’s release, “All About That Bass” has blown up to be an international hit and been nominated for Song and Record of the Year Grammys. 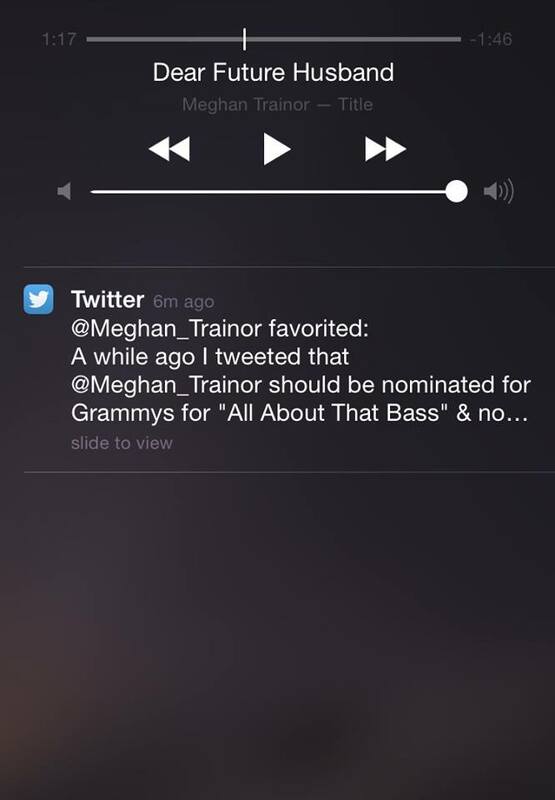 Meghan Trainor’s debut album Title is scheduled to be released January 13, 2015. I haven’t figured out why she entitled her album Title, but if I do figure it out, I will let you all know (although, “Title” is another great song of hers).